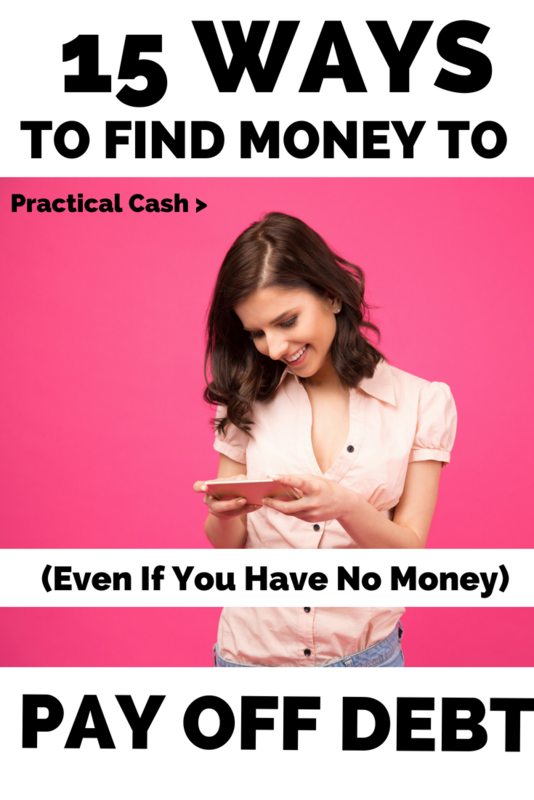 Are you stuck on how to find money to pay off debt fast? If debt payments are stretching your budget at the seams and you can’t find any more money to make progress on your debts, there’s hope. Sure, you could add a side hustle activity to your schedule. 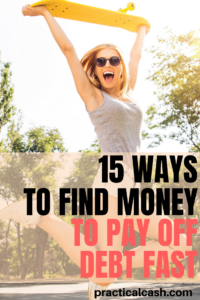 But there are frugal habits you can develop that will help you develop some breathing room in your budget and get you some money so you’ll know how to pay off debt quickly. I’ll be honest here. If you do just one or two of these activities, it’s not going to help you get out of debt very fast. 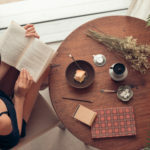 However, aggregating some of the first frugal activities listed with some of the other smaller activities is a great strategy for cutting your spending and allocating more toward debt repayment. Here’s what to do. Assign a cost to all of these activities for your budget and move it to a debt payoff account. For every bill you reduce, take the reduction amount and add it to a special budget category or savings account that you don’t touch. For everything you don’t buy, put that in your debt payoff account, too. Cutting the top off of a toothpaste tube offers a negligible monetary gain and may not be the best way to pay off debt. However, say your tube of toothpaste costs $5 and you use one a month. If you get 10 more days use of the tube by cutting the top off, you’ve saved $1.65. 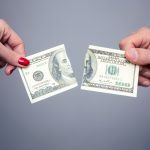 Added to all of the other strategies in the following list, you can make a substantial hit to your debt progress when all of those savings are directed to pay off debt fast. Every time you add a little extra to your debt payments, you’ll be glad you did the following activities. Create a list of all the bills you pay in a month, ordered from largest to smallest. Include the auto-pay items you always forget about until they hit your account. Don’t forget to list quarterly and annual payments, too. Now go down the list. When was the last time you compared home insurance rates? You might be able to increase your deductible or drop a nonessential coverage. Do you really need that music subscription? Evaluate every single bill you have for whether it can be reduced or eliminated or cancelled. Could you refinance for more savings? Could you call your insurance company to investigate a discount? Focus first on the biggest bills – those have the potential for more significant savings, like rent or mortgage and car insurance. Apply all money you save from your audit to your debt repayment plan. Spending just $5 a day on snacks or gum costs nearly $150 per month. In a year, you could pay off $1800 toward debt, just by dropping non-essential spending. Aim to have at least 10 no-spend days a month to motivate you. On each of those days, transfer what you would have thoughtlessly spent to your debt payoff account. Need some ideas on frugal things to do with kids? Click here. Do you pay for a gym membership? Call your health insurance provider to determine if they reimburse or cover the cost. They may also offer free perks, like gift cards or fitness trackers, for completing a few simple tasks. Put the savings into your pay off debt fast account. If you have gift cards languishing in your wallet that you haven’t used, try using them for essentials and transferring the cash you would have spent to savings. Have a card for a store nowhere near you that you can’t use? You can get money to pay off debt fast by selling or exchanging your cards at Raise.com. Food waste costs you money, so find money to throw at debt with a weekly food review. Look through your pantry, fridge, and freezer and plan meals based on what you already have or on what will be expiring soon. For example, if you have an open jar of pesto, plan a chicken pesto pasta bake to use it up. Every time I meal prep – and stare at the prepared batches of meals lining my fridge – I’m never tempted to eat out. Meal prepping and planning is a huge way to save money to put toward debt. If you’re used to eating out on the way to work and for lunch, you could potentially save hundreds every month that you could put toward debt repayment. Food spending is one of the biggest line items in a budget, so reducing that to put the money to pay off debt quickly can have a significant impact. 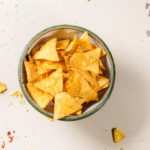 But you may not want the time and effort involved in clipping coupons (though I love extreme couponing and can highly recommend it as a savings strategy!). It always shocks me, though, when people in the grocery store line don’t even use a bonus card or app to get the store-specific deals. It’s free money! It takes no time! Download your favorite grocery store’s app and enter your savings card number (or sign up for one if you don’t have one). Before you go to the store, add the available coupons to your account (usually it’s just the tap of a button). The savings will come off automatically when you scan your card or phone at the store. You can put the savings toward paying off debt fast. All it takes is a humble rubber spatula to save money on food and toiletry waste. Every time you’re ready to toss a ketchup bottle in the trash and open a new one, run a spatula around the inside – you’ll come up with several more servings. Have a used-up toothpaste tube? Cut the top off and scrape out the remainder into a small glass jar. 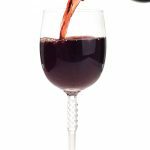 Extending the life of products you use regularly saves you money because you don’t have to purchase them as often. Plus zero waste practices are good for the environment because there’s less stuff being sent to landfills. You’ll want a narrower spatula to really get out everything in the jar to avoid waste. Here’s the slim rubber spatula I use on Amazon. The less you use your car, the less wear and tear expense on your vehicle – not to mention lower gas expenses! Once a week, think through all of the errands and activities you have to accomplish. If you have to pick up dry cleaning and groceries, can you do those on your way home from work, instead of making a separate trip on Saturday? Cutting even one or two extra trips from your schedule can save you money each week that you can apply to debt repayment. Unclaimed property is free cash owed to you by government agencies, businesses, or utility providers. Maybe you moved before they could send you a check, or maybe you accidentally overpaid and they never refunded your money. To find out if anyone owes you unclaimed property, go to the Unclaimed Property Association and search for your name and state (don’t forget to check in states where you once resided). Every month, I get free money in the mail. Sound too good to be true? It isn’t, and it’s totally real. I cash the checks and they go straight into my high yield savings account. If I was still in debt, I’d use them to pay off debt fast. A class action is just a group of people together suing a defendant (like a company or group). For example, a group of dissatisfied consumers might sue a company because the product wasn’t as advertised. Class actions are filed against government agencies, companies, and institutions. Click here to find out more about how to find and fill out class actions. Every time you cross a parking lot or walk a street, keep an eye out for loose bills or change that’s fallen from someone’s pocket or purse. Add it to your debt payoff stash. If you have more time than money and want to save your self-care money to pay off debt fast, check out a local cosmetology school for discount or free haircuts, hair color, or nail services. Students need volunteers on whom to practice, though their instructors supervise the process. Though the process might take longer, the services are steeply discounted and you can use the savings to pay off debt. Save money to attack debt by avoiding throwaway items. It makes sense to invest in a silicone baking mat, for example, because you’ll quickly make back the cost of the mat with savings in not using aluminum foil or parchment. Other things you’ll just be throwing away and that will be a savings if you recycle something else: Dog or cat waste bags (save bread bags, shopping bags, and other items to dispose in), garbage bags (use bags from stores or just place items directly in trash can), and cardboard boxes (get free ones from grocery stores or from cardboard recycling dumpsters). Do you buy things online but forget to use coupons? I found a simple way to save a lot of money by simply installing a cashback Chrome extension to my browser. Now every time I visit Ebay, Amazon, or any other retail store with a cash back discount, the toolbar asks me if I want to save. I simply click a button and automatically coupons are applied to my account. Works great! The savings extension I use is Ebates! What are your favorite strategies for how to pay off debt fast? 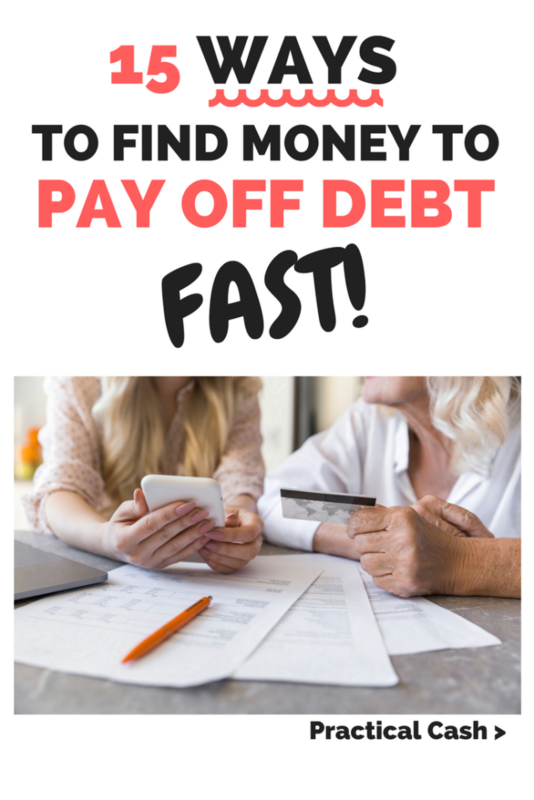 Do you do anything to pay off debt quickly? Share your tips in the comments!